Everyone’s Linux desktop is getting better this week, well… Almost everyone. 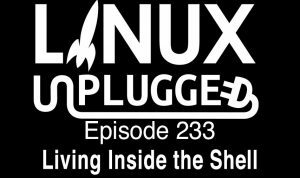 Plus why Linux users should be using Firefox, some Gnome and MATE news, communIty, why the Linux desktop isn’t seeing as many native apps these days & more! A screen; because a picture is worth a thousand words. Who really wants to hear 6 days of temperature forecasts, when you can simply glance at a screen? If you are following closely the news of various tech websites, one of the latest hot topic in the community was about Nautilus removing desktop icons. Let’s try to clarify some points to ensure the various discussions around it have enough background information and not reacting on emotions only as it could be seen lately. You will have both downstream (mine) and upstream (Carlos) perspectives here. Enjoy the Shadows and highlights operations fresh from the oven of GEGL’s workshop. Implementation of shadows and highlights is a port of DarkTable‘s operation. Firefox 58 user profiles are not compatible with older versions of Firefox. 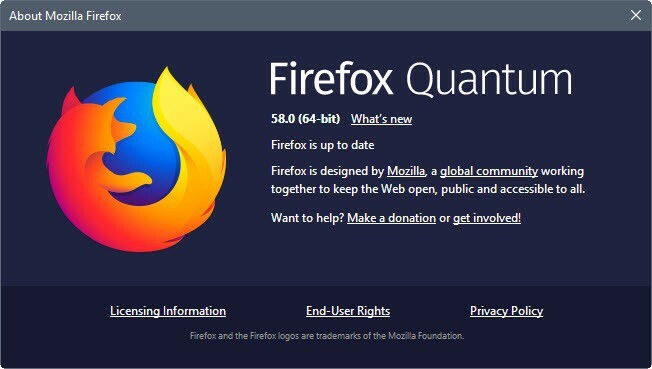 Firefox 58 features performance improvements, new WebExtensions API, and other improvements. One big difference you should notice immediately is that installing files is just an argument instead of a whole new method and Meson is generally smart about knowing where certain files (like executables) should be installed to. MATE is landing new and improved support for HiDPI. that none of us could really have predicted. Linux got caught up in the dotcom boom and, with the VA Linux Systems IPO, came to epitomize its excesses, but when that boom went boom, Linux was still there, stronger than ever. clear that the Linux kernel had one of the cleanest code bases around. it, massively accelerating development at all levels of the system. up to many thousands of developers. spammers, organized criminals, and nation states with vast resources. far more open than they would otherwise have been. use it internally and want to help make it work better. Is Native Linux App Development In Decline? Once up on a time us writing about ___”yet another music player”___was a meme-like weekly occurrence. Same goes for video players, download managers, instant messengers, torrent apps, image editors, Twitter apps, image viewers, text editors, photo uploaders, etc — you name it, we probably wrote about it! It seemed, for a long while, that app developers were out there en masse, crafting quality apps to satisfy the full gamut of end-user needs. These days the availability of new native Linux apps which cater to users of the most popular Linux distributions seem few and far between.